This piece is adapted from Daniel A. 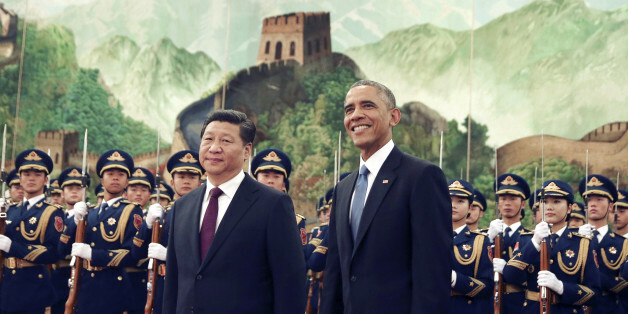 Bell's new book, "The China Model: Political Meritocracy and the Limits of Democracy," Princeton University Press. BEIJING -- Do the meritocratic features of the China model produce more competent leaders than democratic elections in America? In key ways, this seems certainly true. Political meritocracy has a long history in China. Its modern incarnation dates from the post-Mao reform era. Following the chaos of the Cultural Revolution, China's leaders decided that public officials should have the managerial skills, professional knowledge and broad understanding of China and the world necessary to lead the country to full modernity and global prominence. Hence, party leaders emphasized that the selection and promotion of cadres should be based on expertise rather than revolutionary energy. The government established (reimposed) a competitive national university entrance examination system in the late 1970s, and the first step for most officials is to be admitted to university. Then they must be admitted to the party -- students compete fiercely to join the party, and usually the party selects students with high academic achievement and leadership qualities, preferably from elite universities. In the early 1990s, the government established nationwide ultracompetitive public service examinations (including written and oral tests), and today most aspiring officials must succeed at these examinations after they graduate from university. There is more emphasis on technical competence for appointment to posts in the government system compared to recruitment for positions in the Communist Party hierarchy, but there are not separate tracks for professional civil servants and political officials, and appointment to posts for successful candidates depends on level of education and experience. The most important provisions for the management of cadres above the county/division level (xianchu ji) are contained in the "Regulation on Selection and Appointment of Party and Government Leading Cadres" issued in 2002 by the CCP Organization Department. There are requirements of education and experience for appointment and promotion to political posts; generally, the higher the level, the more demanding the requirements. To be promoted to leading party and government posts at the section (village) head level, officials must have at least a college diploma and have worked at a deputy post for more than two years. To be promoted to posts higher than the county (division) level, candidates must have held at least two positions at lower level organs, and candidates who are promoted from deputy to head generally must have worked at the deputy post for more than two years. Leading cadres at the bureau level (ju, si, ting) or above should have at least a bachelor's degree. Once a year, the Organization Department reviews quantitative performance records for each official in the higher grades, carries out interviews with superiors, peers and subordinates, vets the official's personal conduct and uses public opinion surveys to assess the public's general satisfaction or dissatisfaction with that official's performance. Committees then discuss the data and promote the winners. To get to the top, party officials must typically start from leadership at a primary level office and then be promoted successively to the township level, a county division, a department bureau and the province/ministry level. A public official aiming to reach the position of vice-minister has to be promoted from senior member to deputy section chief, section chief, division chief, deputy division chief, division chief, deputy bureau chief, bureau chief and vice-minister. If one meets the minimum length of service at each rank, one needs at least 20 years to reach the position of vice-minister. During this process, officials are typically rotated through the civil service, state-owned enterprises, and government-affiliated social organizations such as universities and community groups, as well as serving in different parts of the country. The top candidates are sent for further training at party and administrative schools in China, and many promising officials are sent to top universities abroad to learn best administrative practices from around the world. "Out of seven million leading cadres, only one out of 140,000 makes it to the province/ministry level." Out of seven million leading cadres, only one out of 140,000 makes it to the province/ministry level. A select few move up the ranks and make it to the party's Central Committee and then the 25 member Politburo. The members at the very apex of political power -- the Standing Committee of the Politburo -- must normally have served as governors or party secretaries of two provinces, each the size and population of most countries. In short, top leaders must pass through a battery of merit-based tests and accumulate decades of extensive and diverse administrative experience. In contrast, as Eric X. Li puts it, "a person with Barack Obama's pre-presidential professional experience would not even be the manager of a small county in China's system." Notwithstanding its importance for understanding China's reforms and future political prospects, political meritocracy is perhaps the least-studied aspect of the China model. This process of meritocratic selection at the top fits within the broader frame of the "three planks" of the Chinese model. The other planks are democracy at the bottom and experimentation in the middle. This three-plank model points to different ways of selecting and promoting leaders at different levels of government. Each combines elements of the other. The first plank -- democracy at the bottom -- includes elements of the other planks of experimentation and meritocracy. Electoral democracy at the bottom started off as an experiment in selected villages before it was generalized to the rest of the country; and there is a meritocratic check on the system in the form of a party secretary at the village level appointed from above who is often more educated than elected leaders and has the task of trying to ensure the implementation of Beijing-driven policies that may be unpopular, such as birth control and land acquisition. The second plank -- experimentation in the middle -- includes forms of democracy and meritocracy: there have been democratic elections in selected townships in Sichuan province and experiments with democratic practices such as public opinion polling as part of the evaluation process for cadres at higher levels of government; and meritocratically selected leaders at the top often decide which experiments to carry out and which ones should be generalized to other parts of the country. The third plank -- meritocracy at the top -- also includes forms of democracy and experimentation: there has been increased use of democratic practices such as contested intraparty balloting to select and promote leaders at high levels of government; meritocratic practices such as open and competitive examinations for public officials started as pilot projects in certain provinces and central administrative organs in the late 1980s before they were spread to the rest of the country, and there has even been experimentation with different practices and institutions at the very top, such as varying the number of spots on the Standing Committee of the Politburo to suit different needs at different times. "The higher the level of government, the more meritocratic the political system." Overall, however, political reform over the past three decades has been informed by commitment to the general principles of the China model: the lower the level of government, the more democratic the political system; experimentation is more likely to take place, including experiments with brand new practices and institutions, in between the lowest and highest levels of government; and the higher the level of government, the more meritocratic the political system. This system of vertical democratic meritocracy is, in my view, the best way of reconciling political meritocracy and electoral democracy in a large country, although I believe the time will come when it will have to be put to a referendum to boost its legitimacy. With all the issues we know -- the tendency toward cronyism and corruption above all -- there clearly remains a large gap between the ideal and the reality of political meritocracy in China. But it is possible, and desirable, to substantially reduce that gap without introducing electoral democracy at the top. 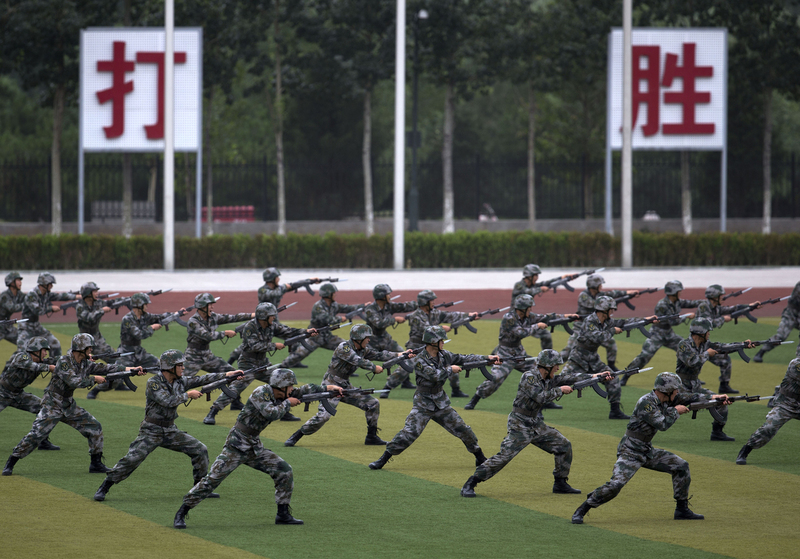 Chinese People's Liberation Army cadets take part in a bayonet drills at the PLA's Armoured Forces Engineering Academy Base, on the outskirt of Beijing, July 22, 2014.